Selling cars in the UAE can be a cumbersome task but it doesn’t have to be that way. Given the right guidance, you can maneuver through the maze of decisions and before you know it you will find yourself at the other end. 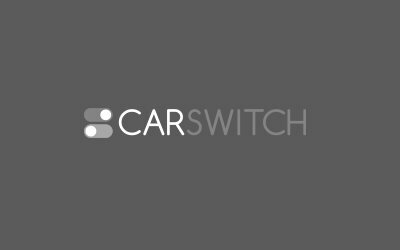 Arm yourself with some nuggets from these seller guides on CarSwitch so you can embark on your car selling journey more informed. But for now, don’t underestimate the importance of the steps below! In the UAE, it is illegal to put a sale advertisement or notice on the car’s window. You run the risk of getting the car impounded. A much better approach would be to place an ad on various online sites, such as CarSwitch or Dubizzle, or in newspapers or magazines that help people sell car in Dubai at a minimal cost. You can also sell directly to a used car dealer, however, you are likely to get 25-35% less than the fair value of your car. So only use dealers as a last resort. Car scams and frauds are becoming a common occurrence in the UAE. Take such news seriously, read up on these car selling scams, and if you don’t want to be a victim yourself, never accept a personal cheque as payment for your car. Bear in mind that your car cannot be sold if it has any outstanding loans on it. Makes sense that if you owe money to the bank then technically the car still belongs to the bank. Make sure that you clear any outstanding loan on your car before you try to sell your car. Once the car is sold, the registration will need to be transferred to the new owner. Terminate your insurance coverage so the buyer can get new car insurance in their own name. ServiceMarket is a good place for that since it allows customers to compare car insurance quotes from a variety of car insurance companies in Dubai, UAE. Submit the transfer form, registration card, copy of the driver’s license, passport, and new insurance certificate at the RTA to complete the transfer process. As the seller, you will also be required to clear any traffic fines to ensure the car can be successfully transferred to the new owner. Remember to keep a copy of the registration card as a proof of transfer. Sell car in Dubai the easy way. CarSwitch can help you avoid all this hassle by handling the process A to Z. Let CarSwitch professionals manage the entire sales process while you sit back and relax. Good luck selling your car, folks! How to Ensure Your Car Retains Its Resale Value in the UAE? Your car can depreciate by tens of thousands of dirhams within a few years. This is. Looking to sell your car in the UAE and want to get the best price for. Selling a car in Dubai can seem like quite a chore, especially if you are not. How Do Car Seller’s Agreements Work in the UAE? If you are in the market for used cars for sale in Dubai, UAE and thinking.